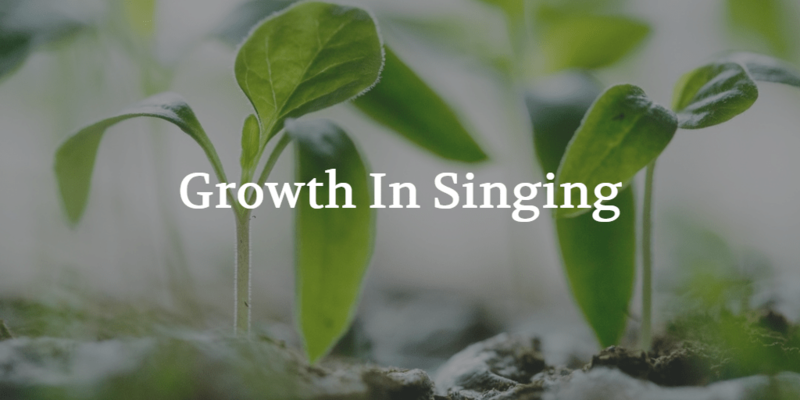 As our voices, and our ability to manage our voices can change on a daily basis, one of the best ways to continue your growth in singing, is to be adaptable. Understand that your voice can be influenced by external forces like the weather, or air pressure. Internal forces also have a significant impact on your voice; health, energy, and mental state all play a role in the sound you produce. Adapting to these fluctuations will ensure that you continue learning about your instrument, instead of becoming discouraged by the instability. As with any learning objective, an excellent way to improve, is to set realistic, and manageable goals. Singing is much the same. By setting expectations for where you want to grow your singing ability, you can make slow, steady and healthy progress toward your goals. Good singing isn’t something that just suddenly materializes. It is the result of challenging yourself, and following through on a daily basis. Our voices can often feel as though they have a mind of our own. When our voices are still training, or they’re changing, we can sometimes feel like we aren’t really in control of what sound comes out of our mouths on any given day. While that might sometimes be true, berating yourself for producing less than stellar sound will actually have a physiological effect on your voice, creating a vicious cycle of errors. One of the sure signs of growth in singing, is the ability to forgive your mistakes, and move on, unencumbered by past errors. How else does your singing evolve over time? Tell us in the comments below!